The original Lotus 7 was a no nonsense, no frills kind of car. It was the epitome of Lotus founder Colin Chapman’s design philosophy, “Simplify, then add lightness.” The original Lotus 7 was a tiny little bugger. The Lotus 7 was powered by a small Ford-produced Inline 4 and it ranged in power from a meager 49 HP to a more robust 135 HP. The best part about the Lotus 7 was the fact that it weighed as much as a flea and it was astonishingly quick for the time, hitting 60 MPH in less than 7 seconds. In 1973, Lotus sold the rights for the 7 design to Caterham who has been building it ever since. While Lotus has continued to build a number of small, lightweight cars, - the Elan and Elise come to mind - they’ve sadly never really had a true successor to the original 7. Diseno-art.com thought that should change though and they’ve designed what they dub the 2011 Lotus New 7 Concept to fill that void. The Lotus New 7 Concept carries over much of the same design themes as the original Lotus 7, albeit with a bit more of a modern take. The New 7 Concept is slightly larger than the original 7, allowing the driver to have a bit more creature comforts then they would get in the Spartan original 7. The Lotus New 7 Concept is bathed in a handsome mix of black and white paint, with a black “7” painted on the side. The paint job does an excellent job of accentuating the retro design of the New 7 Concept, making it quite the looker. Accentuating the New 7 Concept’s black and white paint scheme are matte black wheels with big, meaty tires mounted on them, giving the Lotus a sinister edge. 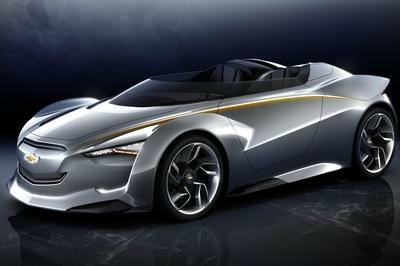 A neat feature that Diseno-art.com designed into the Lotus New 7 Concept is removable body panels. This can allow owners to swap out damaged panels easily on their own. 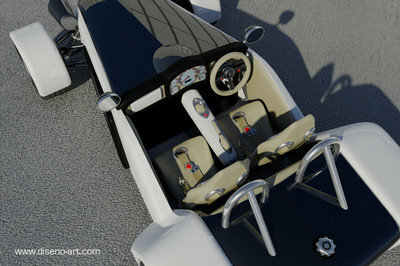 It can also allow the owners to customize their New 7 Concept for their needs. Say a New 7 owner wants to hit the track; they would simply swap in dedicated racing body panels and a long-range fuel cell. But what if it was also date night with the wife? The owner could then quickly and just as easily swap the body panels back, and configure it more for a Sunday cruise, then bombing around on the track. It’s quite a genius idea. The Lotus New 7 Concept being a bare bones car has a pretty bare bones interior as well. While the interior in the New 7 Concept is certainly more luxurious than that of the original 7, that really isn’t saying much. The New 7 Concept’s interior doesn’t coddle its two occupants with creature comforts such as a stereo or air conditioning, but that’s not what this car’s about. The New 7 Concept is designed for someone who appreciates a simpler time, when the driver was more directly connected to the road; just man and machine. Only the necessities make their way into the interior of the New 7 Concept. You get two tan leather sports seats, and a striking aluminum surround over offset gauges. Basic yes, but honestly what else does a driver need? The Lotus New 7 Concept is primarily designed for a small displacement naturally aspirated or turbo charged Inline 4, just like the original 7. However, the engine bay in the 7 Concept is modular. This means an owner theoretically could squeeze a larger engine into the svelte hood of the New 7 Concept. Not that we would though. Fitting a large engine into the New 7 Concept is missing the point; the New 7 Concept is supposed to be light, nimble, and quick, and a small displacement 4-cylinder engine is perfect for that. It isn’t meant to blow the doors off a Ferrari or Lamborghini at a stoplight drag; it’s meant to be a great companion while driving up and down twisty mountain roads. The Lotus New 7 Concept is just that, a concept. Because of that, both production and pricing have not been announced. If the New 7 Concept did make it into production, pricing would probably be around $50,000-$60,000 range. The Lotus New 7 Concept fits into a niche. It’s a small, lightweight, British roadster. 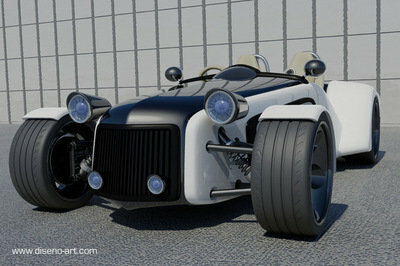 The only true competition to the New 7 Concept (if it’s built) would be theAriel Atom 3 and the Caterham 7 Roadsport. The Caterham 7 is probably the Lotus New 7 Concept’s biggest competition because it’s the car the New 7 Concept is based off of. A lot of people go by the mantra, “If it ain’t broke, don’t fix it.” So why would someone buy the new version over the original 7 that’s been built since 1973? That’s a legitimate question that someone in the market is going to have to grapple with when mulling over the decision of which car to buy. 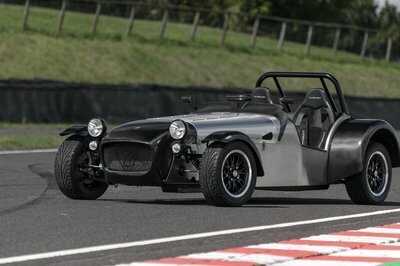 Coming in at $40,489, the Caterham 7 is also likely to be cheaper than the Lotus New 7 Concept would be if it were produced. More of a match in terms of price is the Ariel Atom 3 at $49,980. However, the Ariel Atom 3 is a stripped-down, bare bones, and no-nonsense track day machine. The Ariel Atom 3 is focused strictly on performance. The seats even seem as if they’re an after-thought, just added because the designers realized, “Oh, we need those!” The Atom 3 even lacks door body panels. It’s a street legal Formula One car. It’s meant for driving fast and that’s about it. 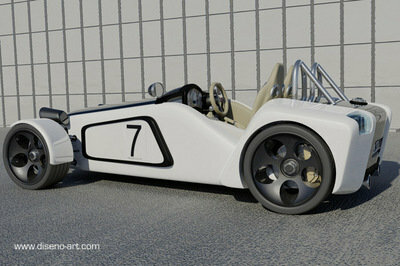 That’s where the Lotus New 7 Concept has the Ariel Atom 3 beat. Whereas both cars can be enjoyed on the track, the Lotus New 7 is the only one you would actually enjoy driving to and from the track. On the road, not the track, is where it ultimately all matters. I don’t think that its a new develop car. It looks very vintage and old for this generation. Yeah somebody are interesting in this type of car but for me it was a waste of time and effort consuming to develop. One thing I almost admire for this concept is a unique appearances that look like a flea that has a suspicious bite that might you wounded, Just like Lotus New 7 model a hidden super effective performances that might you not think. Isn’t it surprising? 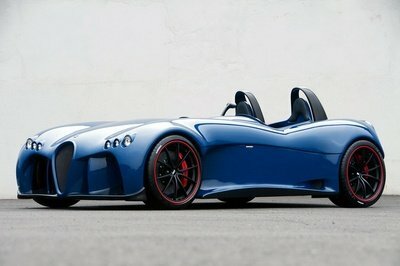 It looks more attractive and impressive than with Ariel Atom 3 and Caterham 7 Roadster. Well, I just only hope that they really have the plan to put it on the market. 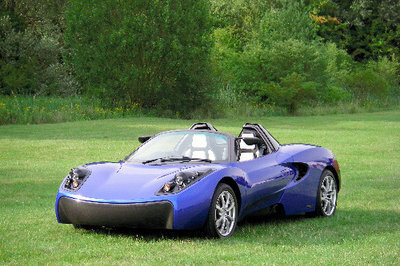 Nice concept, a unique car! I would really love to see this one soon. I hope that they would really put this one on the market because I would surely wait for this. Original Lotus 7 is one of the unique product of Lotus and the pther call of this car is F1 car. 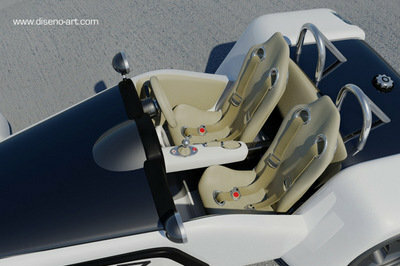 This car can ride with 2 persons. released concept, it will be productive. Yes! Its indeed incredible well made car, i think this will only mostly travel for the kind of environment that surrounds a better and fresh looking atmosphere. Its an extraordinary concept, I think its not appropriate to travel this to the wide road that has a bad environment like smoking or any crowded places. You are most likely correct, but I do hope that they will be providing manuals on how to upgrade and customize this one. Actually, that’s the one thing that I like about the Seven, it is highly customizable. I don’t think that they would be selling this one in kit form. From the looks of the car, it is a bit complicated to break down into a kit. I like the fact that they allowed owners to easily modify this one. The previous model only allows the prescribed engines for their cars. This one is definitely one spiffy looking toy car. I hope they do sell this in kit form, it would definitely be a good project for me and my kids. haha. I want to laugh hard straight to this car! The good thing is its still a concept, and I prayed that it would be a forever a concept. If ever they are braved enough to put this on production,well, to tell them frankly its just the waste of time and effort. And KTM and Ariel are far better than this concept don’t even try to compare! For a small track car, they have actually put in a lot on this one. This will certainly be to the liking of those weekend racers. @PartyBusDC: Thanks for letting us know of the similar story. The website you are talking about did report on this and have used us as their source. But we do agree, their story does mirror ours and we will be contacting them about that. Thanks again! The original Lotus 7 that there are no frills and very plain without further ado. 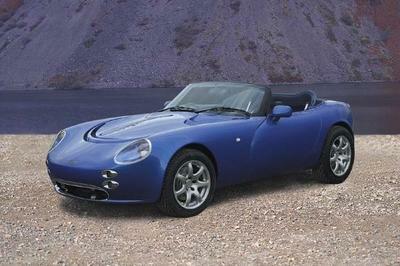 This car is a symbol of the design philosophy of Lotus founder Colin Chapman. The car is simple, then added a lightweight concept car designs such as the small Ford produced inline four that ranged in a fairly small staff, which is 49 horsepower stronger until reached 135 horsepower. The best part of the New Lotus 7 is to have the scales Shebaniah fleas and very amazing with the speed in a certain time, be able to achieve the 60 MPH in a travel time of less than 7 seconds. This one is a rather nice addition to the 7 Series. I am actually very fond of these kit cars, especially when I built my own with my father’s help.